The year was 1974 Blackburn County Borough Fire Brigade ceased to exist and became part of Lancashie County Fire & Rescue Service. Fire engines HCB 500 – NCB 100 – UCB 302L were replaced with a standardised fire engine and to be truthful they were arwful they had seen better years and in many cases embarrassing, every time we responded from Blackburn Fire Station no matter which way we went we had to climb uphill they were that slow that many crews would not use Blue Lights or Sirens. HCB 500 & UCB 302L were transfered to the Service Training Centre to be used for recruit training. Some years ago he contacted Blackburn firefighters when he heard we were restoring HCB 500 and arranged a meeting and produced photographs of his fully restored Major 3. 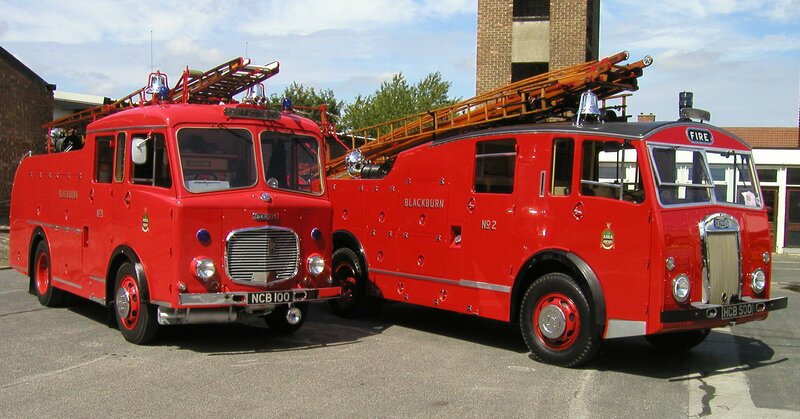 To cut a long story short we arranged to meet up with both vehicles when the restoration of Pump Escape HCB 500 was complete. Yes it happened some 30 years after they were on the run we made arrangements to get together. I had entered with HCB 500 a Vintage Vehicle Rally called the Trans Lancs Rally which consisted of long difficult drive from Birch Services M62 through Rochdale, Todmorden, Halifax and on to Harrogate where the rally finished. After many miles of torturous turns and steep hills a very nervous driver arrived at Harrogate Fire Station with a still in tact Vintage Fire Engine. Dennis with his pal had driven down from Sunderland yet again no mean feat bearing mind the age of these fire engines. It was a very emotional experience for all concerned, Bob France, Dennis Barker who sadly passed away not long after and Dave Bowers who had travelled up to witness the event. 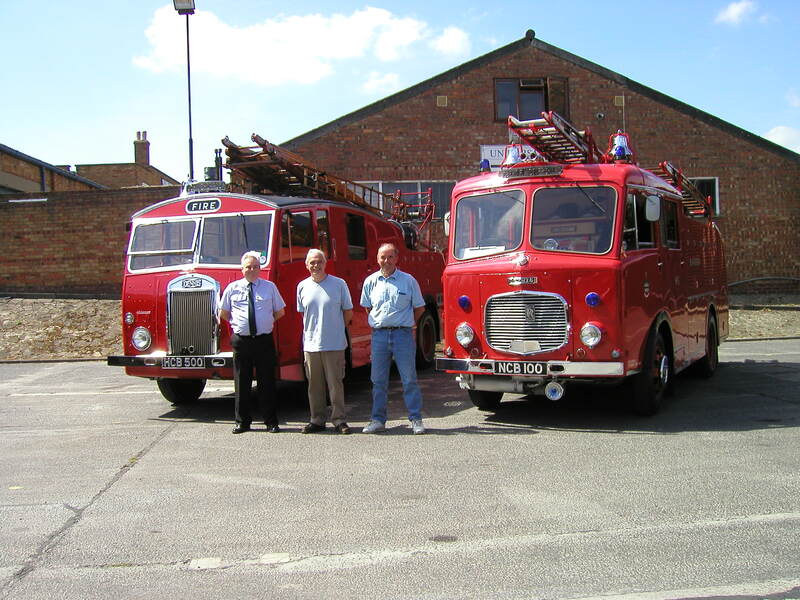 Yes it happened some 30 years after they were on the run as operational fire engines they were back together. In conclusion, to Dennis who I am sure is up their looking down on us I am glad we did it. This page was added by Ian Grant on 09/07/2013.